"More than just legal advice, a good attorney provides the client with peace of mind." 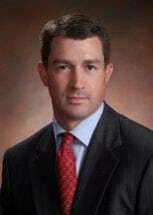 As an international/operational law attorney in the United States Army Judge Advocate General’s Corps, then-Captain Matthew Mayer served as the Army’s sole legal representative in Europe at numerous planning conferences for military exercises in Poland, Italy, Romania, Israel and the Ukraine. In that position, he negotiated and drafted multimillion-dollar contracts on the Army’s behalf with various other European nations. In a previous position as the command judge advocate for Headquarters, Fifth Signal Command in Mannheim, Germany, Captain Mayer was the sole legal advisor to a two-star general for the entire European Signal command. Along the way, he advised clients from the lowest-grade private to four-star generals. Today, Matt Mayer is drawing from his JAG experience and applying it as an attorney for Leisawitz Heller’s Business Group, where he focuses on general corporate and commercial transactions, along with work in the estate planning and business representation fields. He has been admitted to practice before the Pennsylvania Supreme Court, the Virginia Supreme Court, the United States District Court for the Eastern District of Pennsylvania, and the United States District Court for the Western District of Missouri. He is a member of the American Bar Association, the Pennsylvania Bar Association and the Berks County Bar Association. His diverse military clientele has prepared him to serve a wide variety of clients, from small family businesses to multimillion-dollar corporations.